How much is Joel Heyman Worth? Joel Heyman net worth: Joel Heyman is an American actor who has a net worth of $2 million. He is best known for his work with Rooster Teeth Productions, which includes the popular machinima web-series Red vs. Blue where Heyman played Private Michael J. Caboose/O'Mally. Red vs. Blue is an award-winning comedic science fiction series that premiered in 2003 and is still in production. Heyman has also played Wade in The Strangerhood and Bidderman in 1-800-MAGIC, which he is also responsible for writing. Heyman was born on September 16, 1971 and is a 1997 graduate of the University of Texas at Austin, where he received a Bachelor of Fine Arts degree in Drama Production. He currently resides in Austin, Texas, to work in the Rooster Teeth offices. 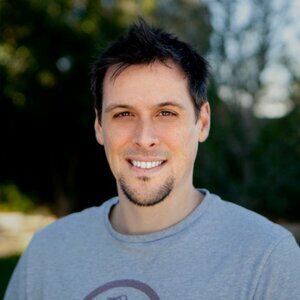 Heyman is one of five founders of Rooster Teeth Productions, which is a production studio and multi-channel network specializing in the creation of live action short films, animated pieces and machinima, or films created using real-time, interactive engines from computer and video games. As of March 2014, Rooster Teeth's primary YouTube channel had more than 7 million subscribers and 2.8 billion video views. In addition to Heyman's involvement with machinima and Rooster Teeth, he has also worked on a number of television shows including Friends, Angel, The Inside, Alias, and Criminal Minds.